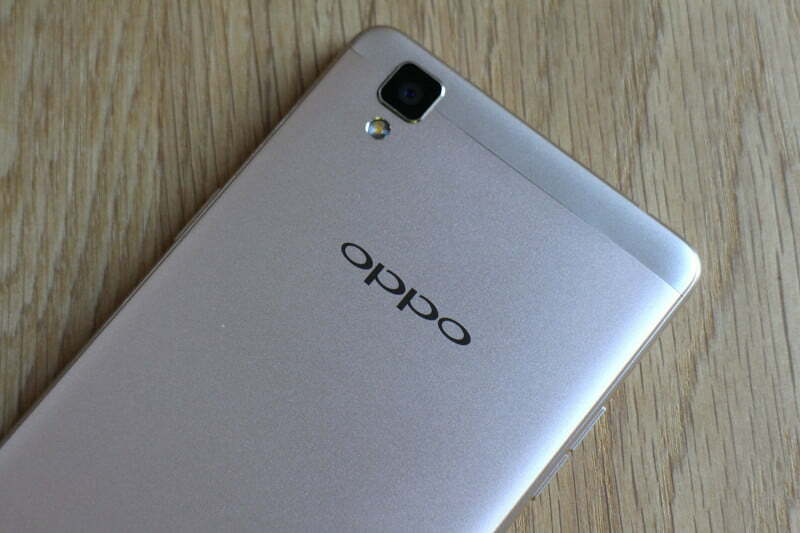 China's Oppo and Huawei trail behind the Korean smartphone maker. 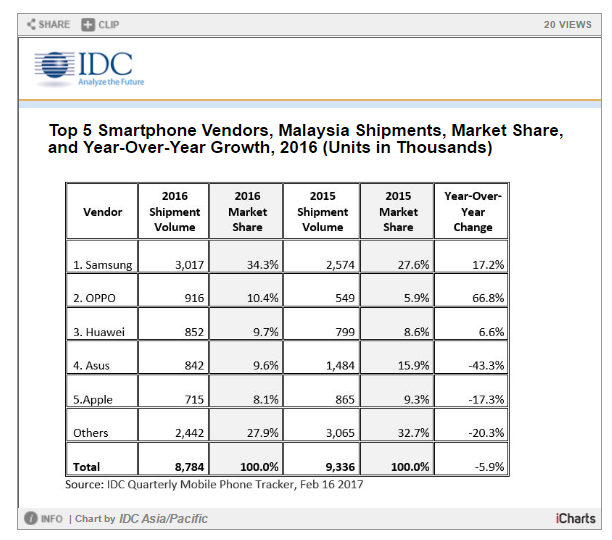 According to International Data Corporation (IDC)'s latest report, the Korean company stood above its competitors, becoming the nation's top smartphone vendor in 2016. IDC is the premier global provider of market intelligence, advisory services, and events for the information technology, telecommunications and consumer technology market. Samsung secured the most market share at 32.8 percent in the fourth quarter of 2016. It also had the most units shipped. IDC commented that Samsung was able to stay on top due to the popularity of the Galaxy J series with the budget-conscious crowd. 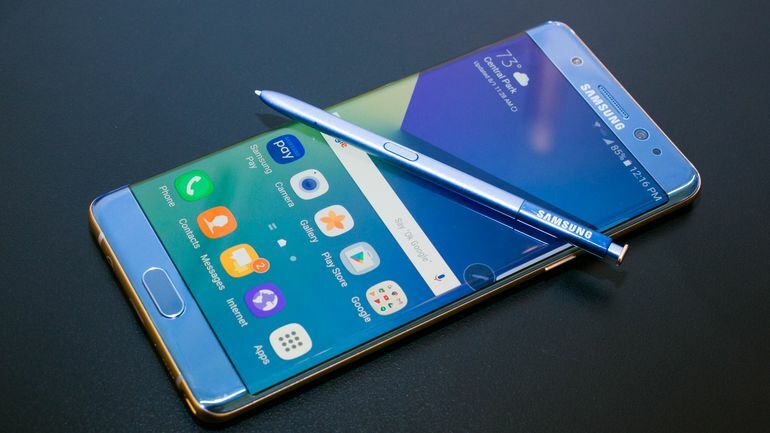 The Galaxy Note 7 fiasco had minimal impact to Samsung's overall performance in Malaysia as the high-end range was not its key seller in Malaysia. With the launch of the iPhone 7 and 7 Plus, Apple managed to come in at second place. The Cupertino-based company shipped 351,000 units as compared to 310,000 in 2015. With a knack for attention-grabbing marketing initiatives, OPPO focused on a few key products, mainly the F1 series that gained interest among the selfie-loving crowd. On the other hand, the Leica-certified P9 helped Huawei secure the fourth place. The dual camera function is one of the key drivers for its growth, being one of the few Android devices with such features available in the local market. Asus slipped down a few spots and landed at the fifth place. According to IDC, the latest Zenfone 3 didn't do as well as its predecessor, the Zenfone 2 which was released in 2015. The Chinese brands - OPPO and Huawei - came in at second and third respectively, overtaking Asus and Apple. 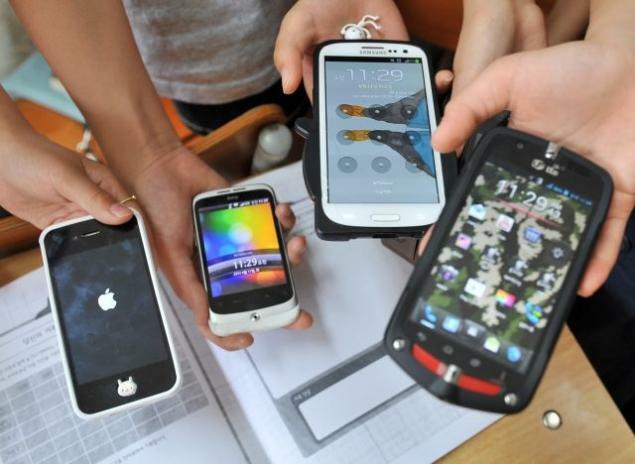 The smartphone shipment slowdown was caused by various negative economic factors, including the depreciating Ringgit against the USD and other rising costs. Nevertheless, Malaysians are still looking to upgrade their devices to better ones - preferably at wallet-friendly prices. “The market situation led local resellers to opt to upsell brands that not only have better margins, but have become popular with consumers, mainly Samsung and China brands such as Huawei, OPPO, and vivo. Budget-conscious consumers are increasingly opting for brands that have become globally renowned via aggressive marketing initiatives and well-built devices,” says Jensen Ooi, market analyst at IDC. 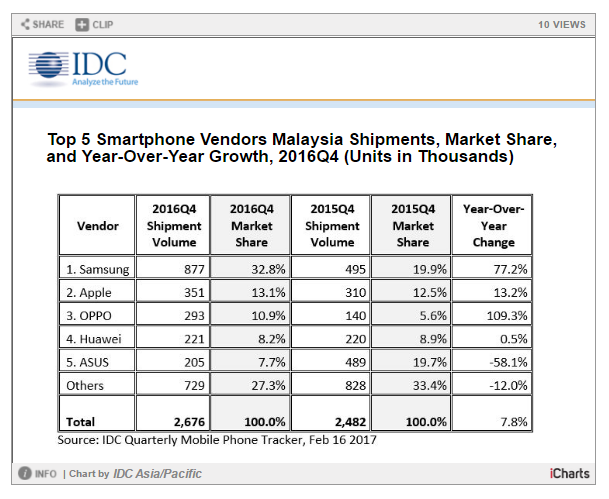 As for 2017, IDC expects prices of smartphones to increase due to new features and the currency impact. On top of that, brands must cater to both the high-end and budget-conscious consumers to stay ahead in the smartphone market. Read up on IDC's full report here. The most resilient and reliable phone ever made is coming back to disrupt the mobile market. Attention, the Finnish smartphone brand is back. The most subscribed YouTuber in the world is in trouble. What a remarkable achievement for a startup that just went live last year!